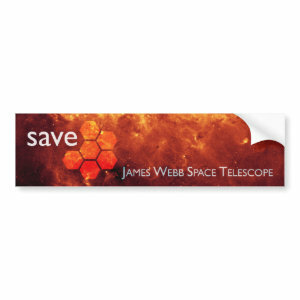 First things first: I am thrilled by the amount of interest there’s been in the SaveJWST gear that I have published for sale at Les Étoiles. 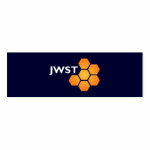 As you may know from my earlier posts, the James Webb Space Telescope–successor to the incredibly successful Hubble–is in danger of being scrapped by Congress; I am very much against this; and I am donating my earnings from JWST gear to the American Astronomical Society. 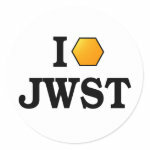 To my knowledge, I am not only the only shopkeeper donating proceeds–I am the only one on Zazzle selling SaveJWST gear. 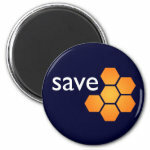 My shop is small; it has a fairly steady trickle of visitors, but no torrent. So I expected to receive perhaps a few dollars from these items: a token donation for AAS, offering more a symbol of sentiment than actual support. 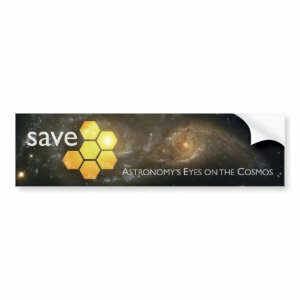 So I am thrilled to say that, barring cancellations, Les Étoiles has earned over $30 so far from JWST gear and there are dozens of stickers, bumper stickers, magnets, and keychains out there helping to make the Webb a more visible topic. 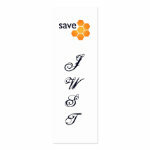 You can find the rest at the gallery.